Can anyone please tell me what these two parallel lines on my exit stamp mean? And will it impact my further application & travel to the Schengen area? It happened when I was denied entry to Croatia due to single entry Schengen visa and therefore I have no valid visa to enter Croatia. The Croatian border guard didn't stamp anything on my passport nor gave me any letter, she just kindly told us we can apply for a visa in Ljubljana. The Slovenian guard just drew two parallel lines on our exit stamp and when we left the Schengen area via Switzerland the country which issued my visa the guard just stamped me out without a single question. The diagonal lines mean your exit from Schengen was cancelled, which is indeed exactly what happened. 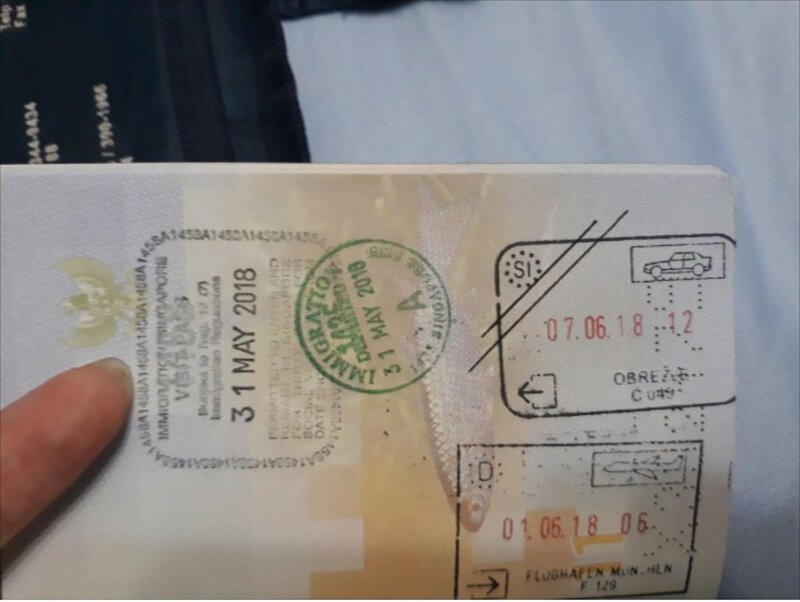 The stamp itself has no impact on future travel to Schengen or other countries. However, you have now technically been refused entry to Croatia. Since your passport was not stamped with a refusal, this was likely processed as the Croatian equivalent of "withdrawing application to enter", but you may wish to err on the side of caution and state "yes" if you're asked in the future whether you have ever been refused entry. Not the answer you're looking for? Browse other questions tagged visas schengen schengen-visa passport-stamps denial-of-entry or ask your own question.